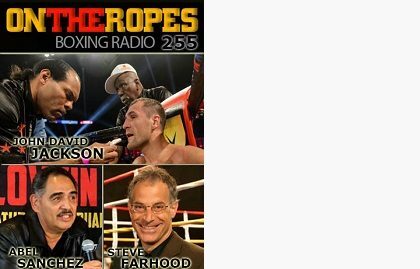 “On The Ropes” Boxing Radio returns this week with host Jenna J to discuss all the latest fights and fight news going on in the sport. In this installment of the show. In this show I will recap Terence Crawford’s victory over John Molina and what the future holds for Crawford, including a possible showdown with Manny Pacquiao. I will also look back at Jermall Charlo’s stunning KO win over Julian Williams and Charlo’s future in the light middleweight division. Lastly, I will preview the upcoming Bernard Hopkins vs. Joe Smith fight, in what is set to be the farewell fight of Hopkins. Just click on the audio player to listen to the show! 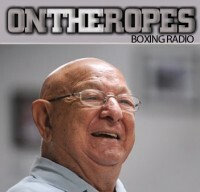 The first guest on this edition of “On the Ropes” is Abel Sanchez. Abel is one of the most respected trainers in the sport and has been involved in boxing for several decades, but has gained the most notoriety for his work with undefeated IBO middleweight champ, Gennady Golovkin. Abel speaks about his recent work with Andy Ruiz, as the took on Joseph Parker in New Zealand. Sanchez also discussed training Murat Gassiev and what he feels Gassiev can accomplish in the sport. In addition, he gives an update on the status of the negotiations for a Golovkin-Jacobs fight that could be set to take place early next year. 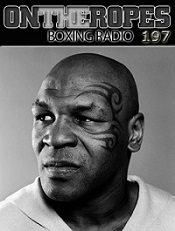 The second guest is boxing commentator and recent Hall of Fame nominee, Steve Farhood. I talk to Steve about his nomination to be in the 2017 Hall of Fame class and what it means to him after being involved in boxing for so many years. Farhood also speaks about the current state of boxing. 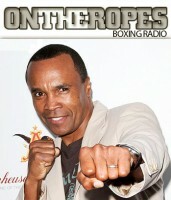 The main guest is none other than former middleweight champ and current trainer, John David Jackson. Following a career as a boxer, John David Jackson has now become a very popular trainer due in large to his work with Sergey Kovalev, among other fighters. Jackson shares his views on the recent Kovalev-Ward fight and if he thinks a rematch will happen. 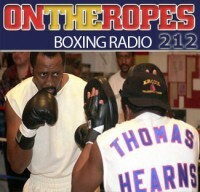 John also talks about training Bernard Hopkins for his retirement fight, as he takes on Joe Smith. 2 Responses to "Abel Sanchez on Golovkin vs. Canelo & Manny Pacquiao’s future. Steve Farhood on HOF induction. 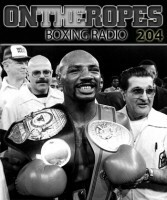 JDJ on Hopkins’ final bout – OTR #255"
Steve Farhood is one of my favorite guys in the sports, he really does love the sport, even all these years later. So if Canelo and GGG don’t fight, 2017 another wasted year. We need that fight to happen.